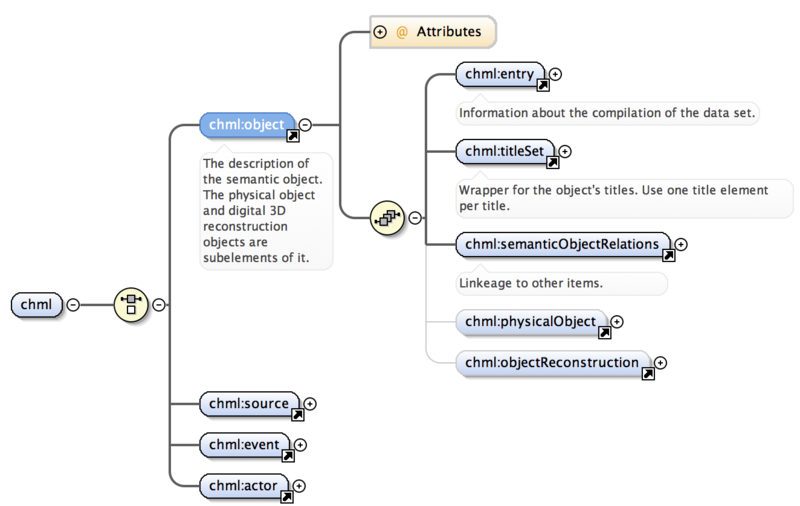 CHML Version 1.0. public beta is now ready for download: CHML-Schema_v_1_0.xsd This Metadata Schema was published for the 3rd milestone of the project “Digital 3D Reconstructions in Virtual Research Environments“. It has been implemented in an application ontology in OWL DL referring to CIDOC CRM (ISO 21127:2006). Applied within the collaborative research environment “patrimonium.net“.